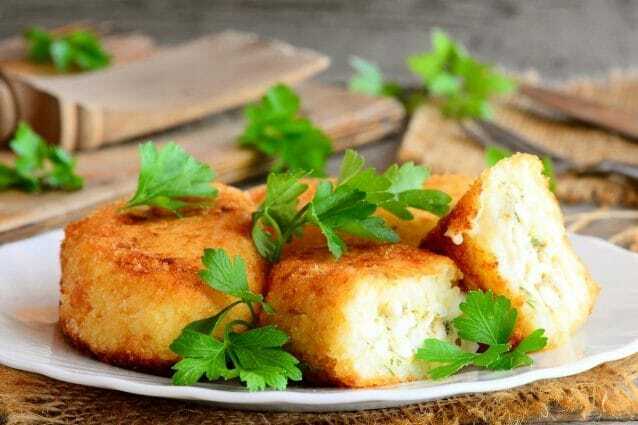 The cauliflower patties are a delicious and genuine appetizer, also ideal for a buffet or an aperitif. 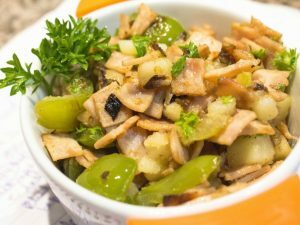 Golden and crunchy nuggets outside and soft inside, to be prepared on autumn and winter days. In our recipe we fried them in the pan, but you can also bake them in the oven. Here's how to prepare this vegetarian dish, and make tasty and fragrant cauliflower patties. Clean the cauliflower, remove the florets and then pour them into a pot of boiling water. Leave it to boil for about ten minutes, drain it and let it cool. Transfer it now in a bowl, mash it with a fork and add the slightly beaten egg, the parsley and stir. Add Parmesan or grated Parmesan, salt, pepper and mix again. Form the patties with your hands and pass them first into the beaten egg and then into the breadcrumbs. Heat the seed oil in a deep pan until it is boiling, and begin to fry the cauliflower balls a few at a time, until they are golden. As soon as they are ready, remove them with the skimmer and transfer them to a tray lined with kitchen paper. Continue to fry all the patties. Once ready let them slightly cool and serve immediately. Your cauliflower patties are ready to be enjoyed hot. To make the dough thicker add a boiled potato: mash it in the bowl with the cauliflower passed to the mixer and reduced to cream, before adding the egg and the herbs you prefer. To flavor the cauliflower patties you can substitute parsley with thyme or rosemary. If you want to add a touch of flavor to your dish, add 1 teaspoon of turmeric to the ingredients. You can serve your cauliflower patties accompanied by a sauce made with sour cream and chives, or with ketchup, which will make them even more delicious and tasty. If you prefer stronger flavors, add a filling made with diced cheese or bacon: your cauliflower patties will be stringy and even tastier. 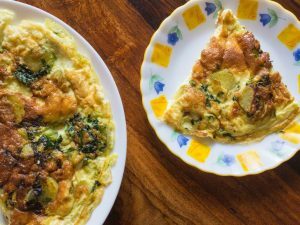 To prepare light cauliflower patties, substitute the whole egg with two egg whites. 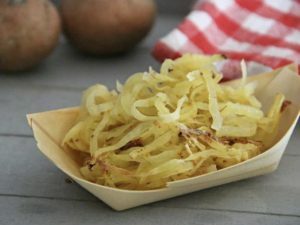 Those who prefer can prepare the cauliflower patties in the oven: pass them in the egg, then in the breadcrumbs, place them on a baking sheet lined with parchment paper and bake in a preheated oven at 180 degrees for about 20 minutes. Turn them halfway through to obtain a uniform browning. You can keep the cauliflower patties in the refrigerator for one day in an airtight container. 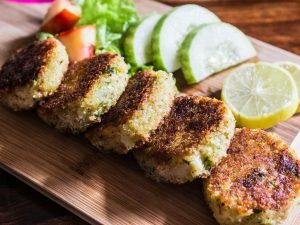 Tuna and zucchini patties: A delectable quick and easy snack!